Most Israelis would have surely answered: of course. . . .
Israelis view [the current Gaza] demonstrations as part of a wider assault that includes continual attempts, along every border, to penetrate the country’s defenses—whether through tunnels from Gaza, periodic waves of missiles and rockets fired from Gaza and Lebanon, or, most worrying of all, threats from the growing Iranian military presence in Syria. Those assaults are part of an increasingly successful Iranian plan to surround Israel’s borders with what Iran’s Supreme Leader Ali Khamenei has called “the golden ring in the chain of resistance.” . . . The presence of terrorist enclaves on almost every one of Israel’s borders helps explain the determination of the IDF to prevent demonstrators from trying to break through the fence. . . . The promise of the state of Israel to the Jewish people was to end its seemingly eternal otherness and restore it to the community of nations. Part of remaining faithful to that vision is to heed the warnings of outsiders, especially friends, and not withdraw in bitter isolation. But no less important for the fulfillment of Israel’s promise is to ensure that those who seek to destroy it are kept from breaching its borders. How to balance those two imperatives defines the challenge facing Israel today. On Sunday, the riders continued to the Negev where they zipped passed Sde Boker and the Nabatean city of Avdat, taking in the vistas of the Mitzpe Ramon crater along the way. Traveling outside of Europe is a first in the 101-year history of the Giro d’Italia. Israeli-Canadian philanthropist Sylvan Adams, co-owner of Israel’s professional Israel Cycling Academy team, played the key role in bringing the competition to Jerusalem. 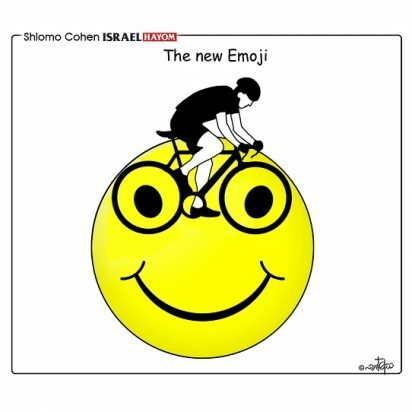 He said he sought to bring the race to Israel to show how beautiful the country is to the billion television viewers who watch cycling. “Unlike a soccer match or a basketball game, which takes place inside a stadium, cycling takes place outdoors. So for three days, with 16 hours of TV coverage starting in Jerusalem, our beautiful and important national capital, and then going from Acre in the North all the way down to Eilat, they will literally see all the country,” Adams told The Jerusalem Post. The coverage of the cycling was only one of many positive outcomes. The attendance of UAE Team Emirates and Bahrain-Meridas was another. Although the riders from these teams are not from the Gulf states, their participation was symbolic. It shows that sports can be a form of diplomacy, as well as a way to put Israel on the map as a place removed from news of the conflict that generally drowns out other coverage. That doesn’t mean the conflict was entirely ignored. The Guardian noted that Israel was “one of the most contested territories in the world” and said the race took place on a “complex political landscape” overshadowed by violence in Gaza. In general, the unprecedented sporting event appears to have emerged unscathed by political controversy. No boycotts or protests interdicted the riders. This is a testament to the work of the organizers and likely symbolic of the overall change in attitudes toward Israel globally. 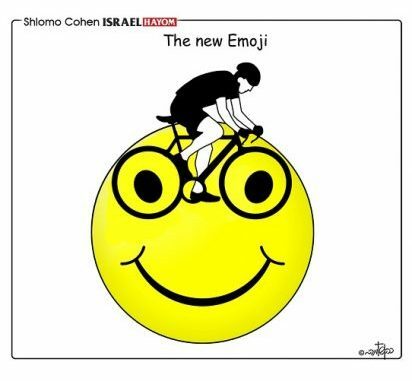 The Sylvan Adams Velodrome in Tel Aviv, touted as the most advanced indoor cycling arena in the Middle East, was unveiled a few days before the Big Start of the Giro d’Italia road-biking race in Israel, scheduled to begin in Jerusalem on May 4 and reach Tel Aviv on May 5. The arena, still under construction, will meet the Olympic standards of 250 meters in circumference and aims to develop and promote competitive and recreational cycling in Israel. Professional cyclists from the Israel Cycling Academy did the first test run of the tracks as Tel Aviv Mayor Ron Huldai watched along with Yoni Yarom, chairman of the Israel Cycling Federation, and Sylvan Adams, co-owner of the Israel Cycling Academy and honorary president of Giro’s Big Start in Israel. Palestinians have expressed outrage at teams from the United Arab Emirates and Bahrain for taking part in the opening legs of the Giro d’Italia cycling race in Israel over the weekend, which they say undermined Arab solidarity with their cause. All the refugee populations in the world come under the jurisdiction of a single UN agency, except for the Palestinians. All other refugees do not pass refugee status on to descendants, only the refugees themselves are counted as such. Only the Palestinians are allowed to count all descendants as refugees, and many have chosen to live off their collective grievance, rather than move on with their lives. Sephardic Jews, more than 800,000 of whom were expelled or encouraged to leave Arab countries in the years after the creation of Israel, provide a far better and more humane approach for dealing with refugees. Israel absorbed more than 70 per cent of these refugees (France and the United States took many others) and within a few short years, had moved them out of temporary housing and allowed them to start new lives in Israel. I know because my father and his 4 brothers and parents left all of their lives and assets behind when they fled from Iraq and they made themselves a new life in Israel. Today there are 6.6 million Jews in Israel, and 1.8 million Arabs, more than 11 times as many Arabs as resided within the borders of Israel at the end of the fighting in 1949. So much for the absurd notion of ethnic cleansing. In essence, Israel’s war of independence resulted in a population exchange, something that is very common during wars or when new nations are created. 20 million Muslims and Hindus moved to new countries when India and Pakistan became nations. The demand for a right of return for millions of Palestinians, including all the descendants of refugees, signals one enduring Palestinian goal — to destroy the state of Israel, by overwhelming it with Arabs from abroad. The Palestinians still do not accept a two-state solution, just as they refused the partition in 1948, but demand a single state they can dominate. Israel will not commit national suicide to endorse a false narrative of what happened 70 years back. Leslie Cockburn received the Democratic nomination for the 5th Congressional District race on Saturday afternoon, during the Democrat’s convention in Farmville, Virginia. She beat out three other candidates and will face incumbent Republican Rep. Tom Garrett in November. The United Kingdom’s Labour Party sustained significant loses in a local council election in one of the United Kingdom’s most heavily populated Jewish districts amid ongoing allegations of antisemitism against its leader, Jeremy Corbyn, and within the party. Labour failed to take control of the Barnet council in northwest London from the Conservative Party, where 14 percent of the population is Jewish, with some party activists blaming the antisemitism scandal as a contributing factor in its loss. Barry Rawlings, a local Labour official, said his party’s antisemitism scandal had “made a difference” in the election results in the heavily Jewish district, the BBC reported. 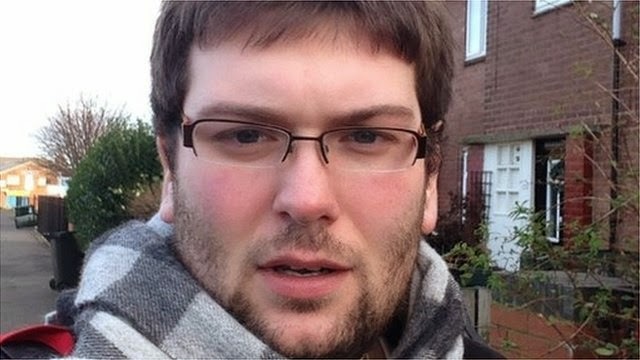 Adam Langleben, a Labour councillor who lost his seat in Barnet, said allegations of antisemitism were the key reason for the party’s loss. Mr. Corbyn, since your accession as its leader, the Labour Party has become a podium for increasingly more outrageous incitement against Jews. Despite apparently reluctant steps to stem the tide and a so-called inquiry, the swamp has grown ever more venomous. It is now two weeks since a House of Commons Debate on Antisemitism. You walked out on Labour M.P. Luciana Berger’s personal testimony as a British Jew, elected to Parliament for contemporary Labour. You thus missed the next speaker, Labour M.P. John Mann, who is not Jewish, but revealed how the antisemite targets, not only Jews, but also their Gentile friends and associates. Mr. Corbyn, while you are leader of Labour, the Party will clearly show short shrift for the Labour victims of antisemitism – whether Jew or Gentile. Jews have a name for these who – in the Holocaust – rescued them at their own peril:- “the Righteous”. In current circumstances, it is hardly an exaggeration to view the Mann family as contemporary “Righteous”, who represent the sadly eclipsed pristine values of the Labour of Cable Street, holding back the Fascists. Mr. Corbyn, the weeks of your silence since the Mann’s revelations have endorsed a new form of hate: “antisemitic sexual abuse”, where it seems that you have taken your Party to the edge of the abyss. Director for international relations of the Simon Weisenthal Center. The fact that anti-Semitic BDS rhetoric has an undue influence on young minds, shaping the ideology of our future leaders, is especially worrying. Leading universities, such as Columbia, New York and Harvard, Massachusetts, are the educational institutions of choice for hundreds of world leaders, including more than 10 former U.S. Presidents. Yet the response from university administrators has been underwhelming. 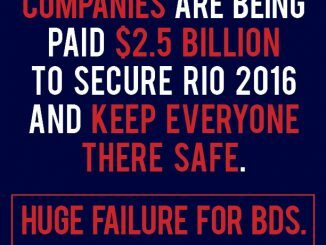 Pro-Israel students at the more than 10 campuses participating in the American Jewish Congress’ “BDS is Anti-Semitism — United Against BDS” campaign have relayed to us that when they reported harassment by BDS activists, university administrators were reluctant to act, claiming that the anti-Semitic rhetoric used against the students did not pose a “clear and present danger of bodily harm” and didn’t constitute incitement. University authorities have shown an ambivalence to anti-Semitism occurring on their campuses that is concerning. In failing to identify anti-Semitism for what it is, authorities empower the aggressors in their claims that Jews are weaponizing anti-Semitism and the victims are therefore positioned as the perpetrators. 400 young adults from New York’s Russian-speaking Jewish community attended a Limmud FSU conference at Columbia University Sunday. During the event, an anti – BDS protest took place in the center of the campus, led by Limmud FSU Chairman Matthew Bronfman, Rabbi Marc Schneier, Rabbi Joseph Telushkin and more. The conference included dozens of lectures, sessions, panels and performances on wide range of topics, including a lecture by Professor Alan Dershowitz on BDS and Israel. Limmud FSU founder Chaim Chesler said: “We’re are extremely happy to be here for the first time ever at Columbia University, on the 70th anniversary of Israel, to celebrate with hundreds of Jews despite the helplessness of BDS efforts to boycott the Jewish state”. Finkelstein, a man who has referred to Nobel Laureate and Holocaust survivor Elie Wiesel as the “clown of the Holocaust” is a well-known political scientist and frequent critic of the Jewish state. Finkelstein argued that Hamas is not dangerous in spite of the fact that the Islamist group has killed thousands of innocent civilians and is regarded as a terrorist organization by both the United States and the European Union. Finkelstein maintained that Hamas is merely a weak extremist group and that Israel exaggerates its capabilities in order to justify its actions in Gaza. Furthermore, Finkelstein questioned why Israel did not destroy Hamas’ rockets preemptively in previous operations if it knew the full extent of Hamas’ capabilities, despite the fact that numerous human rights reports have noted that Hamas uses women and children as human shields to protect the rockets, by embedding them, along with its terror tunnels, in civilian areas. In a fresh incident of anti-Zionist activity at the University of California, Irvine, a US college notorious for its hostile atmosphere towards the Jewish state, Israeli speakers at an event were escorted off campus by police for their safety after anti-Israel protesters disrupted the proceedings. The event was a conversation conducted by the Israeli organization Reservists on Duty who were invited by two UC Irvine student groups, Republicans on Campus and Students Supporting Israel to provide support and assistance for pro-Israel students during “Anti-Zionism Week” at the university. Some 40 minutes into the event, attended by 20 to 30 students, a handful of anti-Israel protesters entered the classroom, complete with Palestinian flags, keffiyehs, and using a loudspeaker to chant various slogans. “From the river to the sea, Palestine will be free,” and “IDF, what do you say? How many kids have you killed today?” were chanted by the protesters. Two of the Jewish Voice for Peace (JVP) activists who helped pass a resolution on April 16 in the City Council of Durham, North Carolina that banned life-saving police exchanges and training between the city’s police department and Israel’s military, are employed by synagogues in the Jewish Federation of Durham-Chapel Hill. In addition to their roles as radicals promoting anti-Israel boycott, divestment, and sanctions (BDS) resolutions, Sandra Korn and Lara Haft are both employed in the Durham Jewish community at two area synagogues and the Jewish Federation of Durham-Chapel Hill. Haft, a Hebrew-school teacher at the Beth El Synagogue for the Jewish Federation, promotes anti-Israel content on social media. Korn, who spoke at the council meeting in favor of the ban, works at the Jewish Federation as a youth Midrasha teacher, and is a board member and head of adult education at Durham’s Judea Reform Congregation. The Women’s March leader who was lambasted for supporting virulently antisemitic Nation of Islam leader Louis Farrakhan was in Israel on a tour last week with the George Soros-funded Center for Constitutional Rights. Mallory shot to fame as one of the leaders of the Women’s March against President Donald Trump. Earlier this year, Mallory became embroiled in controversy for attending a particularly rancorous and anti-Semitic speech by Farrakhan in which he called Jews satanic. After receiving widespread condemnation for her refusal to take Farrakhan to task, Mallory eventually deleted photos of herself and the preacher from social media but did not specifically condemn him. The CCR last week organized a delegation of “mostly black and brown civil and human rights leaders working on domestic U.S. justice issues who have not had an opportunity to visit Palestine and Israel,” the group said. The Black Student Union along with other student organizations created a list of demands in the wake of an incident last month in which a member of a campus fraternity wore blackface during the university’s multicultural weekend. Among the demands by the so-called Drylongso Collective are training for all sororities and fraternities in “Structural Inequality, Sexual Consent, and Cultural Awareness”; devoting more than $55,000 – the cost of security for a 2017 campus lecture by Milo Yiannopoulos- to several ethnic and cultural departments for upgrades in staff and programing; an endowed professorship for the Ethnic Studies Department; and a graduation requirement of courses in ethnic studies. “We want an increase in ASI (Associated Students, Inc.) funding for ALL cultural clubs, with the exception of organizations that are aligned with Zionist ideology,” the document also says. The Collective told the Campus Reform news website in a letter that the funding demand is not anti-Semitic. “To conflate Zionism with Judaism is also highly problematic,” the letter said. “To attempt to decenter Blackness from our discussion by focusing on an accusation of anti-Semitism based on a false equivalency of Zionism and Judaism is deeply disturbing and speaks of not only the lack of accountability for anti-Semitic acts committed by non-Black/Brown students but also to the coalition work that remains to be done,” the letter said, according to Campus Reform. Boutique hospitality company Nobu Hospitality LLC, co-owned by American actor Robert De Niro, is opening a hotel and restaurant in central Tel Aviv, the company announced Tuesday. The boutique hotel and restaurant chain was founded by Mr. De Niro, Japanese celebrity chef Nobu Matsuhisa, and Hollywood producer Meir Teper. The Nobu Hotel Tel Aviv, situated on Rothschild Boulevard, a luxurious and picturesque street at the heart of the city, will offer 38 rooms, a pool and fitness center, outdoor spaces, and a private rooftop for events. And the reasons for Nobu choosing Tel Aviv as one of their locations won’t fill BDS-holes with joy either. Tel Aviv being a major tourist and business destination makes it a perfect fit for Nobu’s global clients, Nobu CEO Trevor Horwell said in a statement. Swarthmore College will not discontinue the sale of Sabra hummus on campus, its president announced. Instead, campus dining halls and convenience stores will provide an “alternate hummus brand” on campus. The Swarthmore “Students for Justice in Palestine” group had presented College President Valerie Smith with a petition signed by hundreds of students requesting that the hummus, owned by the Israel-headquartered multinational corporation Strauss Group, no longer be sold on campus. According to Brownhole, after analyzing a considerable amount of data provided to the research team, what became clear was that almost all people who comment were highly educated and held specialized degrees in the subject at hand. The results of a second government-funded study by an Israeli university to be released next month, will examine why Israeli policy in the West Bank has gained so much from respect from the European Public. Toulouse city councilman Aviv Zonabend had apologized for his words in Hebrew last month in an interview with Israel’s Army Radio station, explaining he had meant to say Islamists rather than Arabs. But he declined Mayor Jean-Luc Moudenc’s demand that he resign as a local city lawmaker. Zonabend was a member of the mayor’s Republicans party. Following the mayor’s move Friday, Zonabend is still officially a city councilman but he is no longer affiliated with the Republicans and is therefore barred from some votes and functions. He also is barred from any executive post in the city government, Tribune Juive reported Friday. Zonabend told Army Radio on April 25 that there were “very many, too many” Arabs in the city and “very few” Jews. An estimated 4.2 million antisemitic messages were posted to Twitter over a 12-month period starting from January 2017, the Anti-Defamation League found in a groundbreaking new report released on Monday. The in-depth analysis commissioned by the civil rights organization provides the first-ever snapshot of the trends and themes of antisemitism on the social media platform over the course of a one-year period. “Using proprietary research strategies to evaluate Twitter for thousands of possible anti-Semitic expressions, including classic stereotypes, code words, symbols and conspiracy theories, and conducting a human review to scan for sarcasm or other non-antisemitic uses of such terms, the ADL’s Center on Extremism found that at least 4.2 million antisemitic tweets were shared or re-shared in English on Twitter over the 12-month period ending January 28, 2018,” the organization said in a statement. Those 4.2 million tweets were sent from an estimated three million Twitter handles. The margin of error is 3%. The Globe sourced its reporting to the Committee to Protect Journalists (CPJ) who produced a list of journalists killed in 2017 and 2018. Importantly, the Associated Press says that Hussein worked for a radio station linked to Popular Front for Liberation of Palestine. PFLP is a considered a terror group by Canada, Israel, the U.S. & EU. 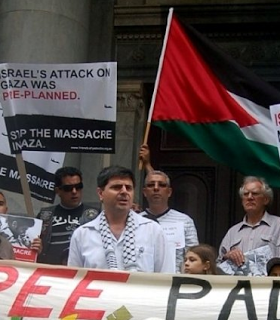 PFLP-linked radio stations do propaganda and incitement, not journalism. Also, according to Israel’s Defense Minister, slain Gaza “journalist” Murtaja was a terrorist on Hamas payroll. A video of a grown man mocking a young Jewish child with shaved head and side-locks for his appearance was yesterday posted on Twitter, where it promptly became viral (over 1.35 million views, and shared tens of thousands of times when I last looked). After many of us reported it to Twitter, it was taken down, but not before I captured the video and blurred the young victim’s face, so you can all see just what we are up against. The Twitter user who uploaded the video claims they took it down, but I do not believe them. Furthermore, they did not apologize, and in fact have attacked those who took exception to the video being uploaded in the first place. Also disturbing was the amount of people reacting to this video with laughter and mockery of their own. A Holocaust survivors’ group is urging German authorities to intensify their search for a notorious neo-Nazi who did not show up for her prison sentence. The International Auschwitz Committee said Sunday it hopes that Ursula Haverbeck, 89, who has been sentenced to two years in prison for incitement, will soon be found. Haverbeck was sentenced last year for repeatedly denying the Holocaust — a crime in Germany. 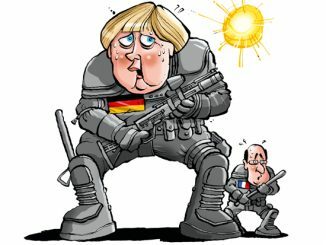 She was supposed to start her prison sentence on Wednesday, in the town of Bielefeld. Local paper Westfalen-Blatt reported that Haverbeck’s home in Vlotho in central Germany seemed to have been empty for days, with mail piling up in front of the door. Members of a neo-Nazi gang were sentenced to years of jail time in an unprecedented punishment of hate crimes in Argentina. A federal court in the Argentinian beach town of Mar del Plata, on Thursday sentenced seven of the eight men in the gang, who were convicted of carrying out a series of violent attacks against the city’s LGBT and Bolivian communities, and left a wave of neo-Nazi and anti-Semitic graffiti. The sentences ranged from nine years and six months in prison to four years and six months in prison. A 19-year-old gang member was sentenced to two years of social treatment and observation, since he was under age when the crimes were committed. It is the first time that a neo-Nazi gang has received such heavy sentences. An Uber driver who ordered an Israeli diplomat to leave his vehicle in the middle of Chicago traffic for speaking Hebrew has been barred from the transportation service. Israel’s deputy consul general to the Midwest, Itay Milner, took to social media on Thursday night to express his shock and dismay. In a TV interview with NBC Chicago news, Milner explained that he said, “How are you?” in Hebrew after answering a call from colleague while riding in the cab. “I did feel the danger because I didn’t what this guy was capable of,” Milner added. In 2008, famed comic book artist Neal Adams and Holocaust historian Rafael Medoff teamed up to create a comic about Dina Babbitt, a Czech Jewish artist forced by the infamous Dr. Josef Mengele to paint watercolors of Roma prisoners in Auschwitz. They hoped to bring attention to a little-known figure in the Holocaust. But their work on the comic, published by Marvel, also led them to ponder a larger issue: the surprising degree to which comic books had addressed the genocide in Europe. “We were surprised and impressed to discover that a number of mainstream comic books had taken on Holocaust-related themes in their story lines at various points over the years,” Medoff, the founding director of the David Wyman Institute for Holocaust Studies, told JTA in a phone interview last month. 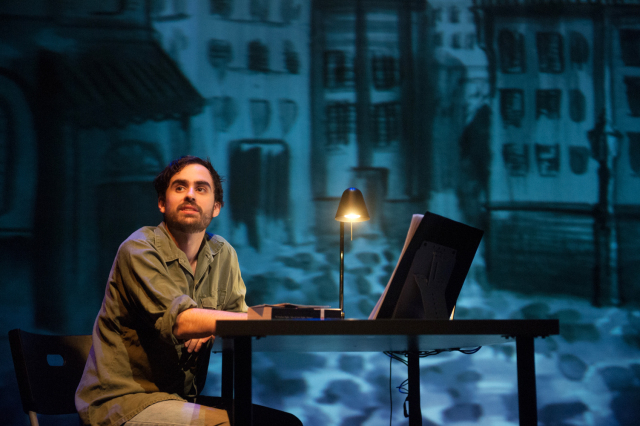 Medoff and Adams — known for his iconic work on DC Comics’ Batman and Green Arrow — decided to explore how a genre aimed at entertaining youths tackled one of history’s darkest chapters. The results of the research is their new book, “We Spoke Out: Comic Books and the Holocaust,” which was published last month and co-written with author and artist Craig Yoe. When they started, the researchers said they hoped to show that persecuting Jews was as easy as “old times”, noting that “they are the only people on the planet running away from Europe towards the Middle East”, and that the concentration of Jews in once place would be easier to wipe them out, but they discovered that’s not the case. A participant in the study responded that he felt “now that they had somewhere to go, it was a lot harder to kick them from country to country like we used to”. They also discovered that the creation of the Israeli Defense Forces posed serious obstacles to “sending them back to the ovens”. The study did note that there was some room for optimism, pointing out that “it’s pretty easy to convince someone you’re anti-Israel not anti-Semitic” with the research showing a severe spike in anti-Semitic incidents on US college campuses, a place where an Israeli flag can garner more animosity than an ISIS flag. He noted: “It’s progress – not much – but we’re getting there. You have to start with the kiddies”. The US firm International Flavors & Fragrances (IFF) will purchase Israel’s Frutarom, a maker of flavors and fragrances for use in food, beverages and pharmaceuticals, for $7.1 billion, the companies announced on Monday, making it the second-largest purchase of an Israeli company ever after Intel’s acquisition of Mobileye in 2017. The acquisition of Frutarom would reportedly make IFF the largest flavoring company in the world. Frutarom has until now been the sixth-largest food flavorings maker in the world. Its shares have surged some 64 percent in the past 12 months and it posted record sales of $1.36 billion in 2017. This clip from 1987 made it across my Facebook timeline. It is the first time I have ever seen it, and boy, is it a pearl..
A young Tom Hanks on David Letterman, discussing his time in Israel. Besides clearly being fond of Israel, note some of the politically incorrect things he says, which he would be absolutely roasted alive for today. Beatles legend Ringo Starr has added another show on June 24 at Tel Aviv’s Menora Mivtachim Arena after his first ever show in Israel slated for a day earlier sold out. The performances in Israel are part of Starr’s “Give More Love” world tour. The concerts include songs by the Beatles, alongside his own solo pieces. His band for this tour will include Colin Hay (vocals, ex-Men at Work), Graham Gouldman (bass, ex-10CC), Steve Lukather (guitar, ex-Toto), Gregg Rolie (keyboards, ex-Santana), Warren Ham (saxophone) and Gregg Bissonette (drums, ex-David Lee Roth band). The famed drummer has never performed in Israel before, though fellow Beatle Paul McCartney performed in Yarkon Park in 2008. A planned 1965 show by the Fab Four was famously nixed by the Israeli government, which cited the group’s supposedly corrupting influence on youth. Alibaba CEO Jack Ma lavishly lauded Israel and the Jewish people during a speech at Tel Aviv University on Thursday, May 3. He later commended the Jewish “Hutzpah,” and suggested that the toughness of the Jewish people drew them to put so much emphasis on “the brain” and education.